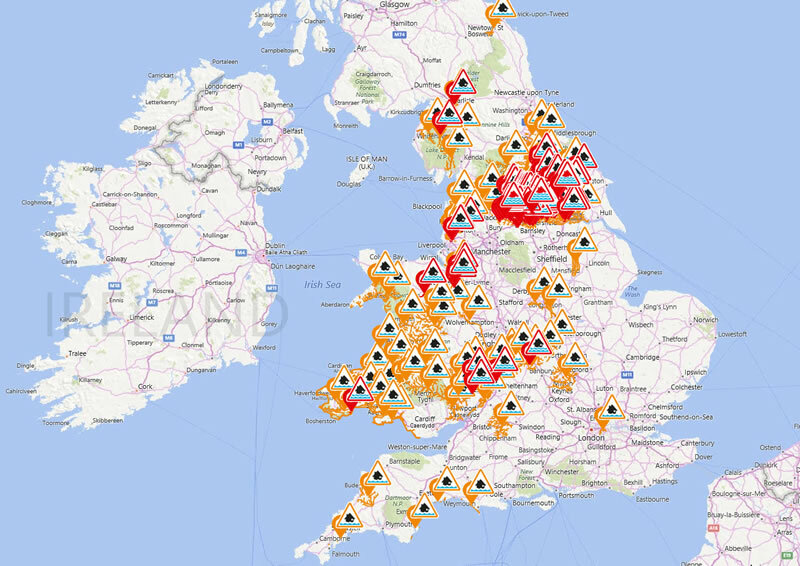 Whilst Britain was still dealing with the consequences of the floods of the northern most regions of England of barely 3 weeks ago, now the conveyor belt of heavy rainfall has been working its way down the length of Britain to encompass much of the North of England, Yorkshire and Lancashire and increasingly starting to impact on central England. These are further signs of the real consequences of climate change as the diverging Jet Stream, a conveyor belt for dumping heavy rainfall onto Britain is increasingly becoming a common occurrence that is likely to persist for many more months with the next heavy deluge expected Wednesday. 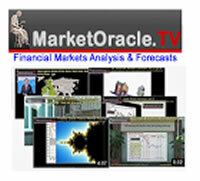 Whilst homes flooded this month are going to be hit hard in terms of plunging home valuations. However, these only form the tip of the flood risk house prices crash ice-berg as it begins to slowly dawn on prospective home buyers that once in a century floods could become annual events. Therefore this ultimately spells doom for the house price valuations of as many as 20% of Britain's homes. The key points to consider in terms of the evaluating the risk of flooding is not just whether the property is near the coast and thus subject to sea level rise but also how far is the property in terms of its distance in height from the valley floor / river basin. This can be worked out by comparing the difference in elevation by subtracting the properties ground floor height above sea level against the height above sea level of the nearest valley / river basin i.e. a property 50 metres above sea level against the nearest river that is 30 metres above sea level would put the property at +20metres above the river basin. In my opinion, home buyers should as a minimum not buy properties of less than 30 metres above sea level AND 10 metres in elevation from the valley floor / height of the normal river, even though this would remove many properties out of potential target locations and will extend to far beyond the environment agency's own current flood maps that tend to only cover 2 to 4 metres above the normal height of nearby rivers as recognised flood plains. However, the reason for the extra minimum height is to not only guard against the uncertain future as a consequence if climate change induced sea level rise and heavy rain fall flooding, but also to allow for failure of the drainage system which means that properties tend to flood to several metres above the height of overflowing rivers. Therefore following the minimum 10metre rule (higher the better) will not only prevent flooding but act to protect house price valuations against an across the board mark down of all properties within a few meters elevation of the flood risk zone. More reasons to only consider properties well out of range of a flood plain / river basins is that even if a property has never flooded, just by being near a flood risk area is enough to increase insurance premiums or worse make properties uninsurable that would put off many prospective home buyers and thus result in deep under valuation at time of selling of anywhere between 15% to 40% as compared to similar properties situated on as little as 10 metres higher ground. So again as a general rule prospective home buyers should not contemplate buying properties that are less than 10 metres above the height of any nearby river, water way or valley floor which puts virtually all riverside and flood plain properties out of contention so as to mitigate both the risks of actual flooding and negative effects on house prices. 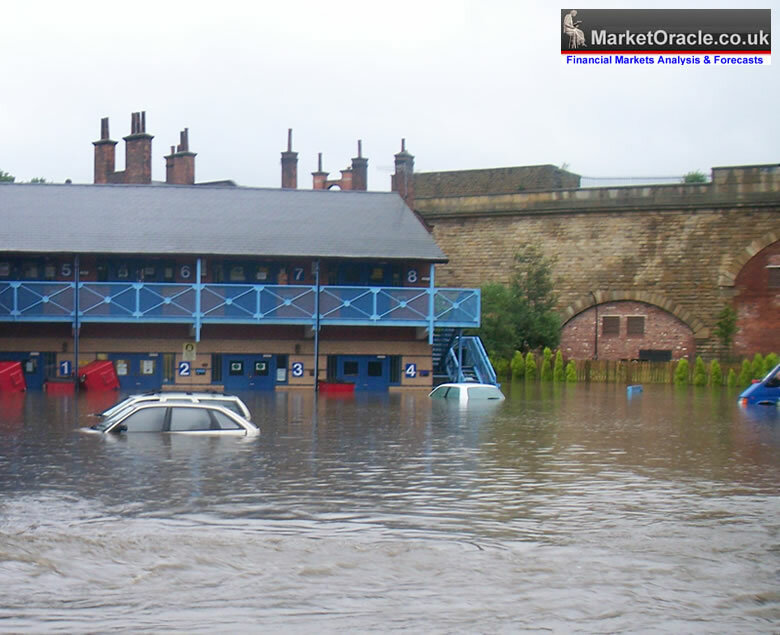 Furthermore as the global warming climate change mega-trend continues to play out properties that are far beyond the flood plains and valley floors are increasingly look set to secure an ever increasing price premium over lower lying properties of even on the same street. The starting point in understanding the flood risks of one's target location is to visit the Environment Agency's website and enter the post code for the area, this will give an over view of the local flood map. Then use this as a guide to compare against elevation maps of the target area, finally fine tuning down to individual properties and aiming to ensure that they are well beyond the minimum 10 metre height from the normal river levels. Climate change severe flooding increasingly looks set to become an near annual event that will likely result in calls for the tax payer to bailout property owners by buying flood risk properties at market prices, something that the government is unlikely to succumb to as such costs are likely to spiral out of control as virtually the whole of Britain is at risk of flooding, as probably the Southern regions of England likely look et to experience flooding during January and February 2016. 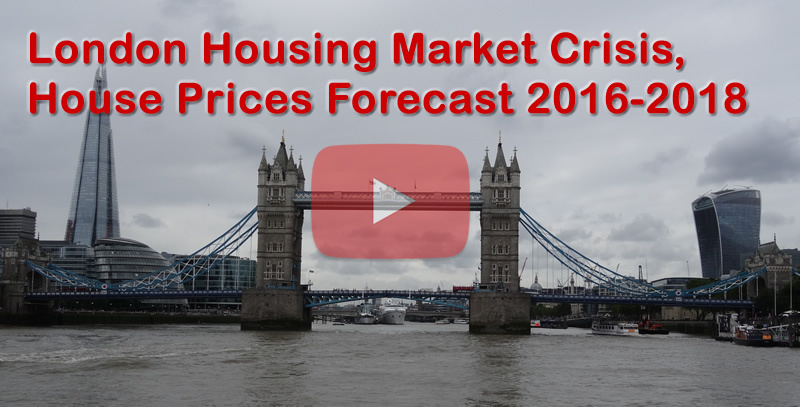 Which includes the UK's capital city London, as my earlier video analysis warned of the climate change consequences signaling the end of the London property bubble.